Home » Crisis » Is the Everything Bubble About to Burst? 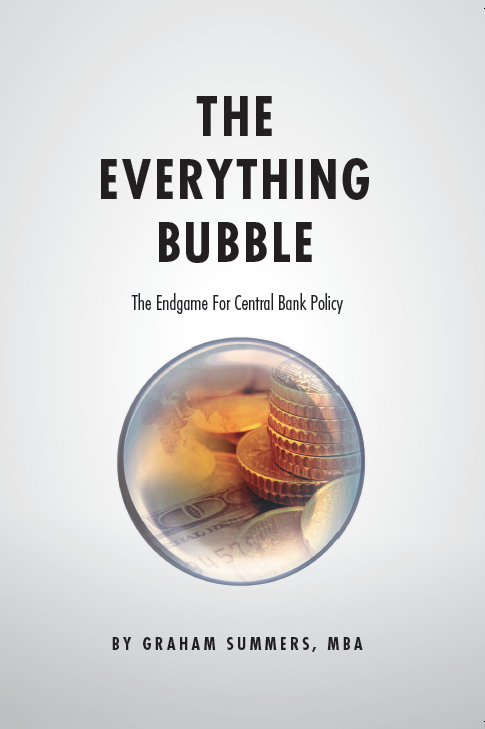 Is the Everything Bubble About to Burst? While the financial media “high fives” over stocks hitting new high, something far more important is brewing in the bond markets. Bonds are the “smart money” in the financial system. The bond markets are not only much larger, but much more liquid than stocks. As such, when a major change begins to unfold, bonds usually “get it” much faster than stocks. With that in mind, take a look at the UGLY Head and Shoulders pattern forming in the long-Treasury. This is a serious topping pattern. And it suggests that bonds are about to reprice much lower. What could cause such a drop? Inflation forces bond prices lower as yields have to rise to compensate for a loss of purchasing power (bond yields rise when bond prices fall). 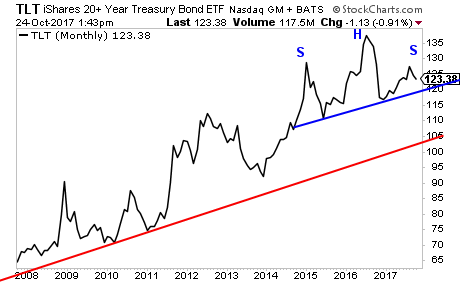 In light of this, that topping pattern in bonds is a major warning to the Bond Bubble (which we call The Everything Bubble) that the financial system is going to be in very serious trouble soon. Globally the Bond Bubble is well north of $200 trillion. And when you include derivatives trade based on bond yields, it’s north of $550 TRILLION. This is many multiples larger than the housing bubble or the tech bubble of the last 20 years. And because bonds are the bedrock of the financial system, when the Bond Bubble bursts, EVERYTHING will have to adjust accordingly. 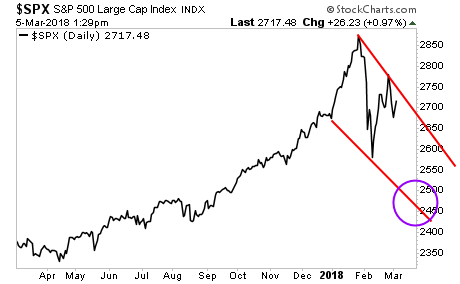 We offer a FREE investment report outlining when the market will collapse as well as what investments will pay out massive returns to investors when this happens. It’s called Stock Market Crash Survival Guide. We have reopened this report to the public by one week based on what is happening in stocks today, but after that, we are closing the doors on this offer. 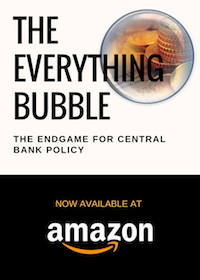 QE 3 Didn’t Work… Why Would QE 4?